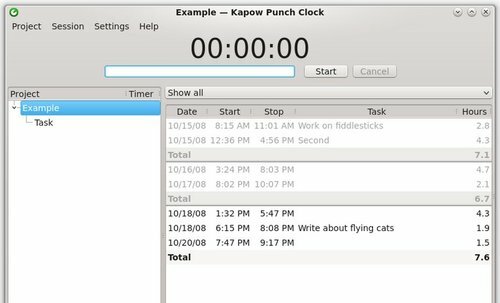 As you may know, Kapow is a punch clock program designed to easily keep track of your hours, whether you’re working on one project or many. 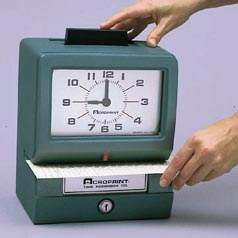 Simply clock in and out with the Start/Stop button. If you make a mistake in your hours, you can go back and edit any of the entries by double-clicking on the session in question. Kapow also allows you to easily keep track of the hours since you last billed a client, by providing a helpful “Billed” checkbox–the totals will reflect your work after the last billed session. The developer has created a PPA repository for Ubuntu 13.10 Saucy, Ubuntu 13.04 Raring, Ubuntu 12.04 Precise, Ubuntu 12.10 Quantal, and their derivatives such as Linux Mint, Elementary.